Easy to Use. Professional. Powerful. 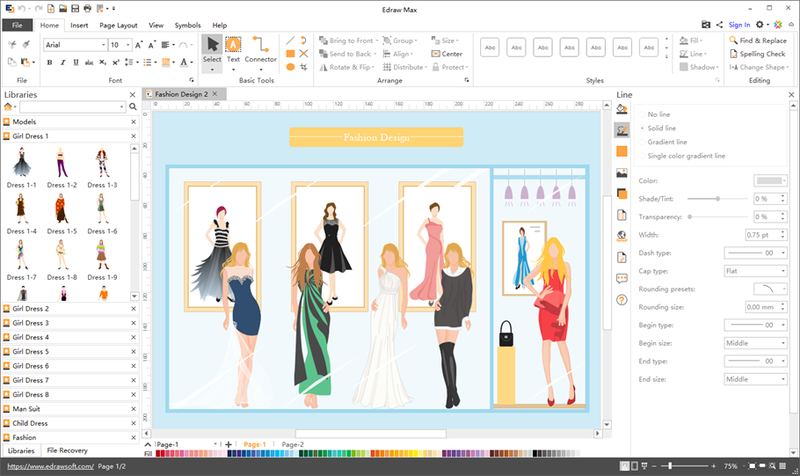 Fashion Sketcher is a cross-platform fashion design program which works greatly for both professional designers and amateurs. It allows you to sketch fashions upon existing models, and use various options to customize the clothes to your liking. Create your own clothes and accessories that look, feels and speak fabulous. 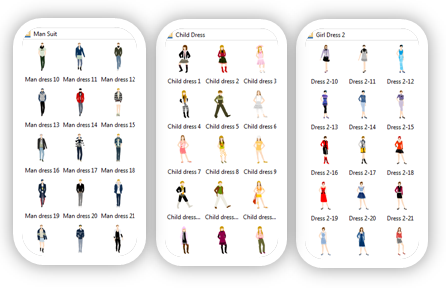 Our easy and powerful fashion design desktop software provides options for designing child, woman and man clothes. It is straightforward and contains a large collection of built-in styles. That's why it's a great CAD alternative for fashion designing which is liked by both experienced and new fashion designers. If you are only amateur and thinking about designing your own clothes, our pre-drawn clothes will serve as your best helpers. They will ensure you to get high quality result by getting your creative juices flowing. With drag and drop simplicity offered by these amazing fashion design symbols, you can save tons of time and energy. Our program includes some inspiring and creative fashion design examples. You can access them easily right in the program or online. Whatever your taste might be, we can guarantee you will like at least one of our examples. They can inspire you to design fashion and push your personalized design to new heights. 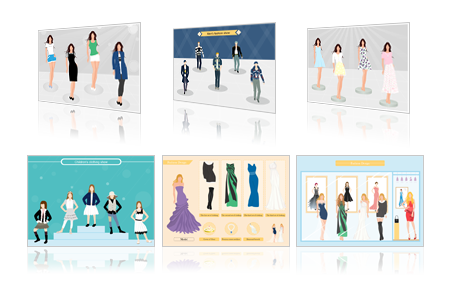 Edraw has cracked the hard nuts in fashion design, preparing the model templates and some clothes examples. Users will just enjoy the low-hanging fruits, gaining the fashion style easily. 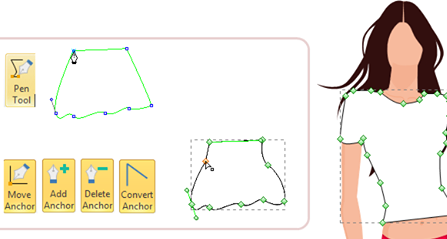 Each time you will start with pre-drawn models; use Pen tool and color palette to design any style and pattern. Just follow your own trend and not others, create your own fashion as you like. Your Ultimate Mac Fashion Design Software! 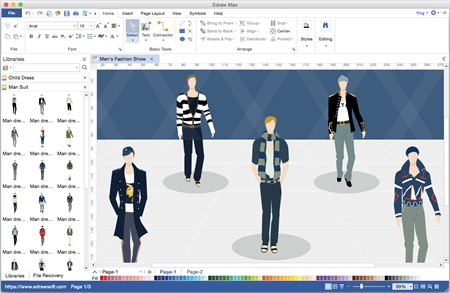 Enjoy creating Fashion Design on Mac with this easy-to-use software. You'll be surprised by its simplicity, amazed by how easy it works, and satisfied with the price. Try it now!